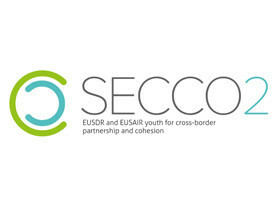 The project aims at strengthening internal cohesion of the Danube Region and the social interconnectivity of the EUSDR and EUSAIR by facilitating the permeability of the borders and building social networks across the state borders – with a special focus on the next generations. With a view to strengthening CBC, based on previous achievements of the partners, an on-line platform will be developed where all actors of different types of CBC from the two macroregions (twin-cities, euroregions, EGTCs, university cooperation structures, joint chambers, CB geoparks, natural parks, associations, etc. ), with a special focus on Balkans can share information, build partnerships and joint projects and use the tool-kit. The main missions of the platform are to make visible all these structures and to create an interface for knowledge sharing; and to foster the representation of youth in CBC, so it will be interconnected with the AEBR’s Young Leaders’ Platform. The tool-kit shall ease the launching, development and realization of CBC all over the two macro-regions. The tool-kit will contain e-learning type contents on relevant EU policies, on the types of CBC structures and their legal background, on the way to set-up new structures, an access to financial resource portals (like https://danube-euroaccess.eu/) and documents on CB obstacles and best practices to overcome thereof, as well as, on CBC experiences within the two macro-regions. The next generations has a crucial importance in CBC since they can guarantee the sustainability of the European project. Based on previous achievements in the field, the partners will organize the 10th Youth Forum on CBC in Tivat (Montenegro) accompanied with an international conference of CBC structures where the initiative of the platform can be popularized. In addition, the partners will develop further the Young Leaders’ Platform in line with the Youth Charter for CBC, and will start a practitioners’ program involving CBC structures from the two macro-regions. Project partners: Central European Service for Cross-border Initiatives (LP, Hungary), Institute of International Sociology of Gorizia (IT), Association of European Border Regions (DE), Central European Service for Cross-border Initiatives Balkans (SR).